Alpha Stained Glass had the honour of creating this window to be placed within the new oratory at St. Mary’s College. 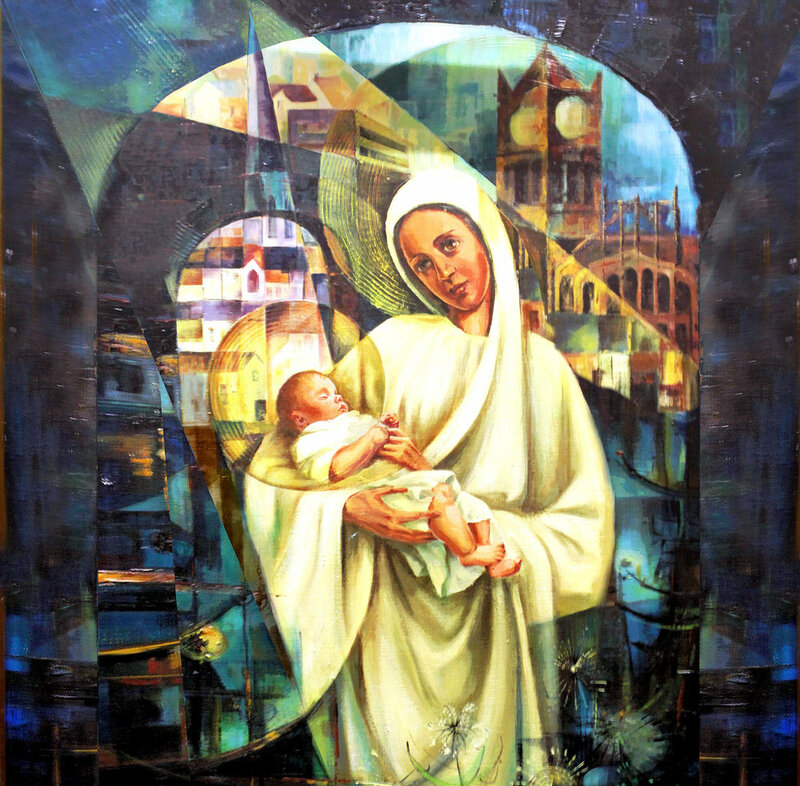 It is our interpretation of ‘Our Lady of Derry’, the well-known painting by Sr. Aloysius McVeigh, which depicts the Virgin Mary within the townscape of Derry. The piece was completed using traditional techniques and is fully hand-painted and fired. During the process our team facilitated workshops at St. Mary’s school to teach the students about the traditional processes involved in painting glass, which allowed the students and teachers to get involved and make their mark on the work. "the well-known painting by Sr. Aloysius McVeigh, which depicts the Virgin Mary within the townscape of Derry"